We are a team of professional Cleaners who specialise in cleaning shop, office or apartment block windows. 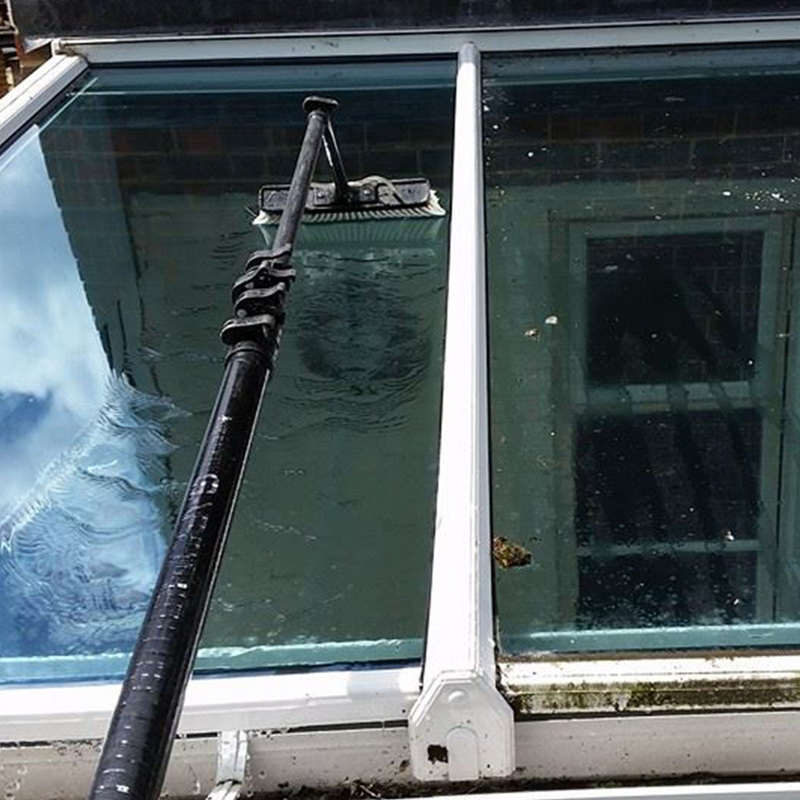 We understand that cleaning windows can be tiring, monotonous and potentially difficult but it is an essential task when trying to make your commercial property look its best. We are a friendly team who are here to make your life easier. 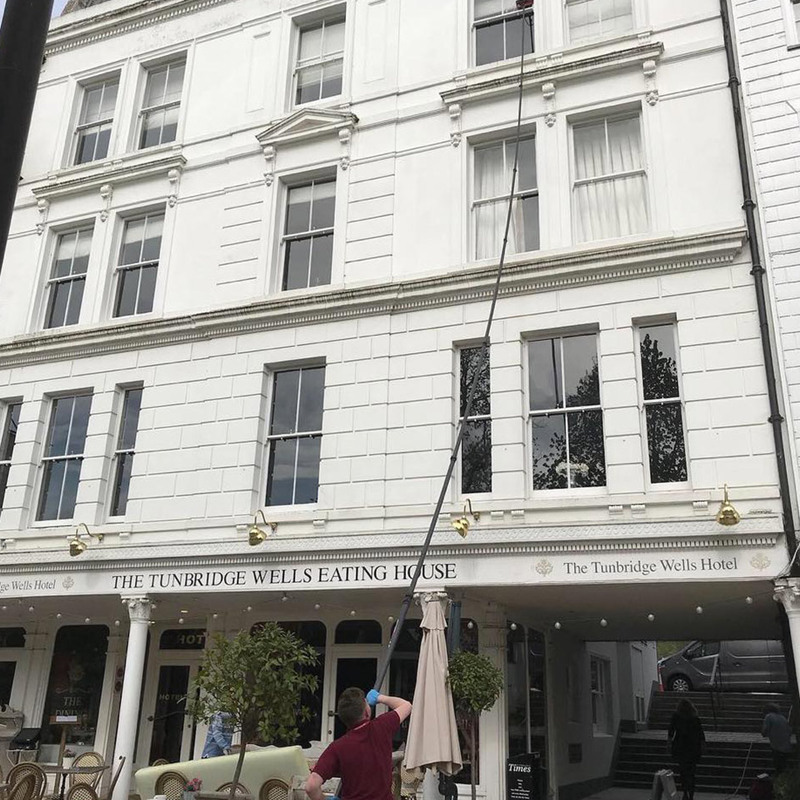 Don't let the strain of window washing and polishing be left to you, as one of the top cleaning companies in the area, NDC are a team of commercial window washers who are available on a one-off or regular basis – whichever suits your needs. We work with a water fed pole system that enables us to reach up to 30ft which means no ladder or scaffolding damage on your property. This enables us to stretch to even those hard to reach areas. Following this, we hand polish your windows, leaving them spotless and glistening. Your commercial property is bound to look professional and inviting after we have conducted our comprehensive, professional cleaning services. We supply our own filtered water, which is gentle and safe for any window material. To ensure your old or new building is kept unharmed, our cleaning solvent can be modified to suit any building and keep them unharmed. Although we always conduct a full health and safety check before and after we carry out our services, we are fully insured for your peace of mind. We pride ourselves on offering fantastic cleaning at low prices.